Introduction: When the lifecycle of Shimano's Chronarch D was unexpectedly cut short, fans of this reel scrambled to purchase the last remaining pieces. 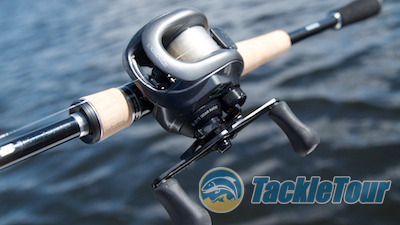 To this day, the Chronarch D is a highly sought after reel for its refinement and excellent casting performance. 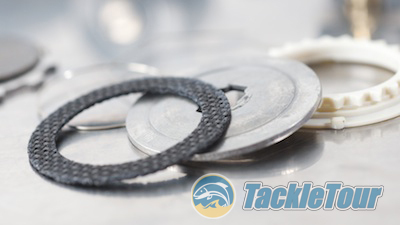 While the reel is technically still available with a magnesium frame and known as the Core, not all consumers are fans of magnesium framed reels for their limitations to freshwater environments and considerable increase in cost. Introducing the Exsence DC from Shimano Japan. But instead of abandoning the aluminum platform of this reel all together, back in Japan, Shimano repurposed the tooling, enhanced the reel with a DC braking system, and marketed it as a saltwater specific reel for sea bass. But does a reel know it's only supposed to be used for one specific species of fish? Of course not! 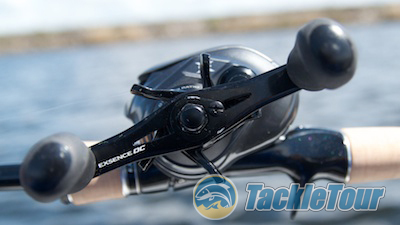 While in Japan last fall, I acquired the newly available left hand version of this reel to see if it still has the same magic as the former Chronarch D. Introducing our review of Shimano Japan's Exsence DC! This reel is available in only one retrieve ratio. Quality/Construction: The Exsence is a very familiar form sharing, as mentioned earlier, the same overall shape as the former Chronarch D. The finish of this reel is charcoal grey with a very slight change in shade to a lighter grey on top of the reel. The frame and sideplate tolerances are very good but the handle does have some backplay in it. The knobs on our Exsence's handle are tight with no play in and out from the handle. 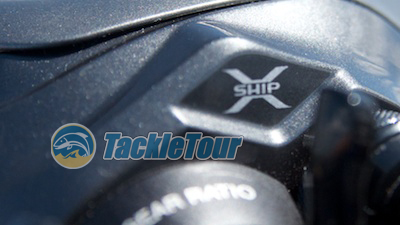 X-Ship is now a common feature in Shimano's baitcasting lineup. Performance: The Exsence was designed as an inshore to be fished with braid primarily. I fished this reel primarily with fluorocarbon line and matched up with either a Shimano Expride rod or a Shimano/Jackall Poison Glorious. Paired with a Shimano Expride rod and ready to go. Retrieve: Turning the handle on this reel is very reminiscent of my Shimano Chronarch Ds - smooth and dependable. The fast 8.0:1 retrieve ratio on this reel was unexpected. It'd be nice to have the option of some slower retrieves, but in the ocean, faster is no doubt better. The bearings in each knob help with the smooth feel of this reel and while I mentioned earlier about the backplay in the reel's handle, this quirk wasn't a bother while actually fishing the reel. Drag is provided by this single disc. Drag: The Exsence, like most low profile baitcasters coming out of Japan is rated at 4.5 kgs of drag pressure. This equates to percentage points under 10 lbs (straight conversion equals 9.9208 lbs). The maximum drag we tested the Exsence out to with the dragstar tightened down as far as my fingers would tighten the drag was 9.76 lbs and I'm not one to really crank down super hard on the dragstar. 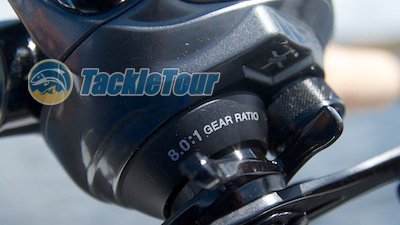 Given that, the reel's max drag rating is easily achieved if that is your goal. 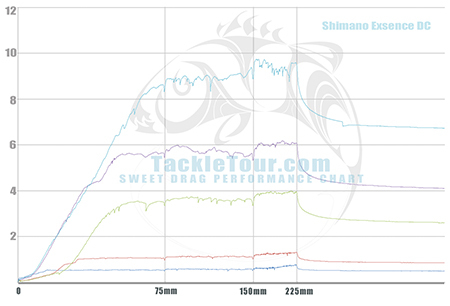 Fig 1: The Sweet Drag Performance chart above shows the consistency in drag performance of our Shimano Exsence DC. As explained in the past and repeated here, our goal is always to chart out how a reel's drag performs under a consistent pull because for those of us who do not button down our drags, the factors of smoothness and consistency are more important. In this regard, the Exsence performs very consistently. It has a very sweet drag.